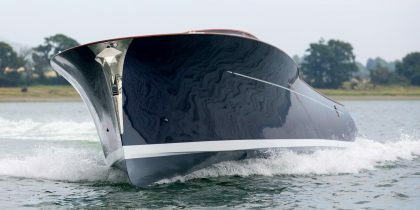 When searching for a yacht to feature as Daniel Craig’s transport of choice into Venice in the James Bond film Casino Royale the production company looked for a classic, British yacht oozing style and elegance. They settled on a 54foot yacht named Spirit. 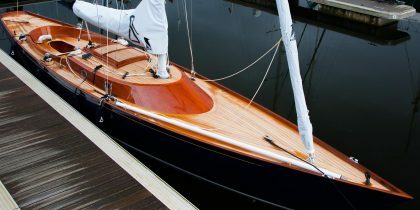 Handcrafted by Spirit Yachts’ skilled team in Suffolk, Spirit has the clean lines synonymous with Spirit Yachts’ design as well as the iconic mahogany topsides, teak decks and modern rig. Down below she has two double cabins with ensuites and a spacious living area, complete with mahogany dining table and well-equipped galley. 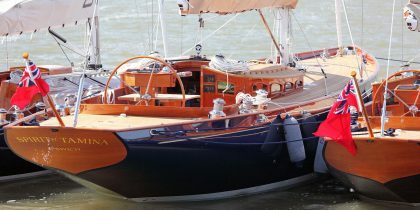 Following the build in Suffolk, Spirit was shipped to the Bahamas before the Spirit Yachts team sailed her to Puerto Rico and through the British Virgin Islands to Tortola Harbour, before she was shipped to Croatia and then sailed to Venice. After being de-masted to fit under the various bridges (the rig came in and out a total of 10 times! 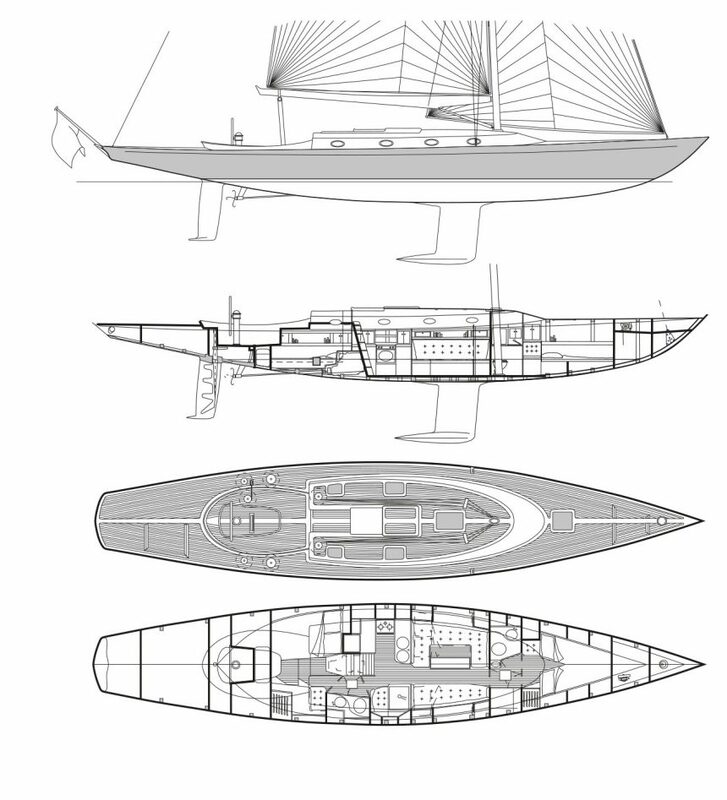 ), 54-foot Spirit was the first sailing yacht to go up the Grand Canal in 300 years.